that for some reason, there are no true nationalists. They all genuflect to Zionism. "The right wing I aspire is at the crossroads of the political judaïsm (i.e Zionism) and of Netanyahu," she said. and controlled by Zionist pawns, following the pattern throughout the world of two Masonic Jewish factions (Globalists/Communists and Zionist/Nationalists) controlling the discourse. Latest - Her father a Mossad agent? As the Yellow Vest movement has expanded worldwide, we can now clearly see that it was an orchestrated movement which went awry but which is now perfectly managed by the globalist elites. As in WWII with the orchestrated gesticulations of the Crypto-Jewish Zionist puppets (from Churchill to Hitler and to mention Stalin, Franco, Mussolini, Salazar, Blum, etc...), the goal is now to orchestrate opposition to globalism, taxes, international agreements, and so on... in order to install chaos. And they actively prepare the following 'Order out of Chaos'. The Yellow Vest anti-government movement started in France on November 17, when over 300,000 people across France protested a carbon tax on fuel that French President Emmanuel Macron touted as evidence of France's leadership when it comes to mitigating climate change. The Yellow Vest protests quickly evolved into a general anti-government movement - with hundreds of thousands of angry French citizens taking to the streets for ten straight weeks of mostly peaceful protests marked with pockets of violence, looting and mayhem. 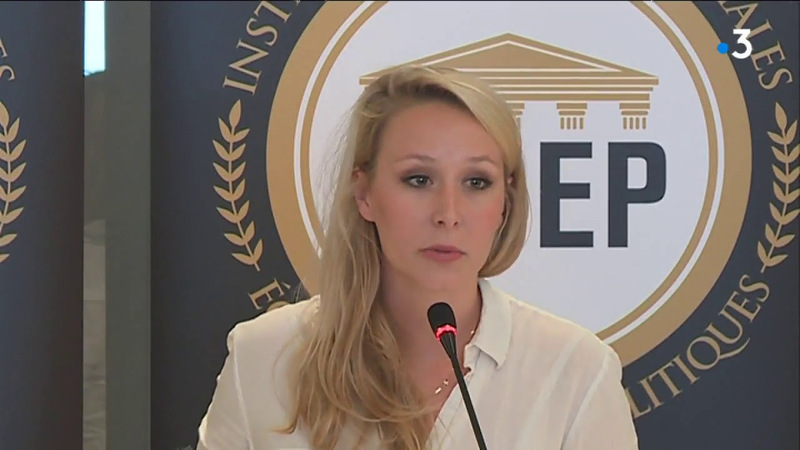 In FRANCE, Marion MARECHAL is the designed leader of the new controlled right-wing opposition ('ALLIANCE DES DROITES') for the next presidential election after the resolution of the insurrection of the Yellow Vests. 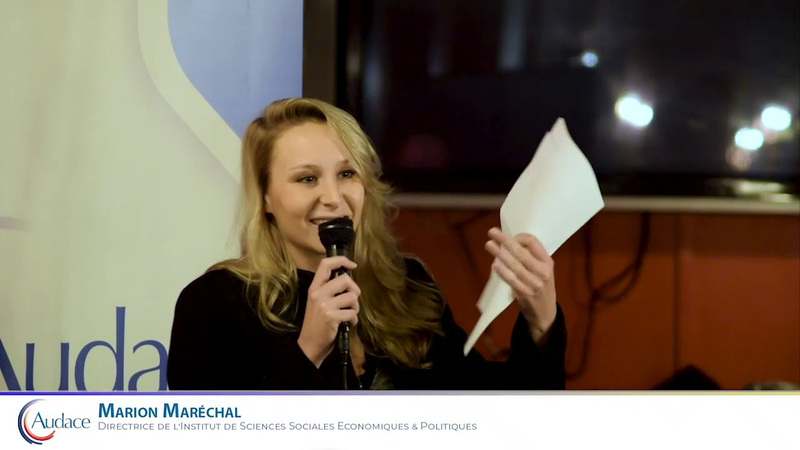 After a relatively short absence from the political scene, Marion MARECHAL (AUQUE) is back. ISSEP LYON is new private high school financed by Maecenas, created and managed by Marion MARECHAL to form a new political and economic elite with 160 students in pre inscription and 120 teachers... and with a scientific council. 0'52" At the question 'How I may call you' she answer 'Marion MARECHAL' and not Marechal LePen. Then she presents her new school, the ISSEP, "as the junction of the right wings in order to prepare the future'. She wants to offer an alternative to the universities and 'high-schools' in the frame of the politics (i.e those schools are too left-wing) and to form 'another elite'. It's a conference on "The Zionist strategy or the 'zemmourisation" of the right wing and of the French Catholics. Zemmour claims that "the destiny of Israel and France are linked since centuries..."
Of course, it's a huge lie. Not only Israel did not exist at that time, that was only the 'Jewish' but as a matter of their behaviour which impoverished the French citizens due to the usurers, periodically the French kings were constrained to expel them from the country. On 1240 by the Duc of Britain (west France). He erases all the usurious debts contracted from the Jewish usurers and constrained them to restitute all the personal estates and real estates to be in the pay of those usurer loans. On 1722 by Louis XV who claim that the Portuguese or 'New Christians' (Conversos) may be numbered in the region of Bordeaux and Auch and also the list of their personal and real estates. That was to know again the Marranos as Crypto-Jews. And at each time, the main element was 'USURIOUS'. Can you understand the duplicity of Zemmour when he said: "Israel was the model of the Jews" at the time when the French Kings spent their time to expel them for their usurious behaviour? That is an incredible intellectual perversion. 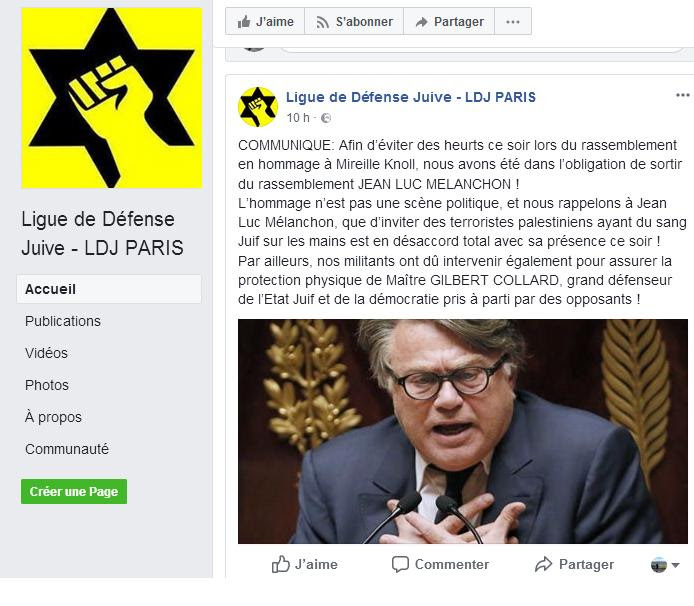 12'43" the declaration of Marion MARECHAL AUQUE to the 'Cercle Audace': "The right wing I aspire is at the crossroads of the political judaïsm (i.e Zionism) and of Netanyahu"
LDJ has been created by elders of the BETAR (Alliance Yosef Trumpledor) a radical Jewish zionist youth movement directed by David Sreir and created on 1923 at Riga, Lettony by Vladimir Zeev Jabotinsky. Comments for "French Nationalist Starlet is Zionist Pawn "
Of course, she is. If you get notice from the JStream press it's because ur an ally. Yellow vest ‘referendums’ are not enough. The government can amend the law to placate and later change it. The people need to instil positive changes in their Constitution. The RIC yellow vest movement in France is looking at a lawful made in Canada process to re-establish governance for the people by the people, 100% veto power to the people through Constitutional change, and pull our country from the brink of globalization. It is a safe process than can be done on line that makes protesting, petitions, and war obsolete. It averts personal injury, possible liability from damaged property, no civil unrest that could trigger martial law and lock the planet down under dystopian globalization. The process is unprecedented, can be applied in any democratic country, and if people get organized in their respective countries, it is a way to solve the manufactured global economic migrant and refugee crisis. If the Zionists and the globalist/communists were truly at war with each other, the globalists would oppose Netanyahu's bombing of Gaza, Israel's support for Isis and so on. As for nationalism, globalists pander to certain types of nationalist or pan-nationalist jingoism. For example, rabid Neocons like Melanie Philips, Michael Gove and Max Boot extol the virtues of the Masonic British Empire. This alliance between globalists and Anglo-Masonic imperialism is hidden in plain sight - encompassing the now global hegemony of the English language, the Zio-media obsession with British royalty, and the worldwide dominance of sports of Anglo-Masonic origin.